Rabbi Garth Silberstein received his rabbinic ordination from Yeshivat Chovevei Torah in 2016. Previously he had also studied at the Pardes Institute for Jewish studies, and received a BA in acting and biology from Bennington College in Vermont. 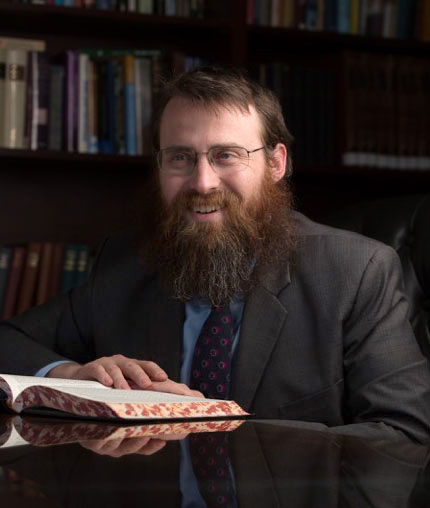 While a student, Rabbi Silberstein interned at the Hebrew Institute of Riverdale-The Bayit, Congregation Shaarey Tphiloh in Portland, Maine, Congregation Kadimah-Toras Moshe in Boston, and Hazon. Prior to beginning his rabbinic training, Rabbi Silberstein lived in New York and worked in the theatre and in non-profit management for several years. A native of Davis, California, Rabbi Silberstein is an out-door enthusiast, and has led Hazon’s Cross-USA bike ride twice. In 2014, Rabbi Silberstein founded Organic Yeshiva, an immersive adult education program that combines traditional talmud study with hands-on experience in sustainable agriculture. Rabbi Silberstein has taught and spoken at numerous synagogues and other institutions throughout the United States.